M+B has always had the aim to build the highest quality plating racks for the PCB industry. 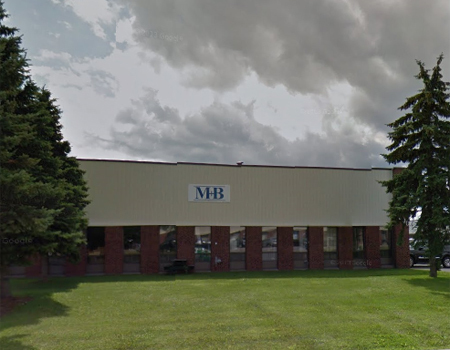 M+B Plating Racks was established in 1986, in Ville St-Laurent, Canada, where it still stands to this day. After working a combined 30 years on various PCB plating lines, Horst Mallock and Howard Brown started up M+B with the intention of building a more efficient racking system for that industry. M+B has always aimed to build the highest quality plating racks for the PCB industry. Two of the most important factors to achieving our goals, are design and fabrication. Every plating line is different, and therefore every racking system needs to be built to the line's specifications. Our design team works directly with our customers to come up with detailed designs and drawings to make sure the optimal rack is made for each specific plating tank. On the manufacturing side, our employees are highly trained and all possess several years of experience in our industry. Attention to detail is critical when building our products, and this value is shared throughout all levels of our company. Today, M+B is proud to sell racks around the globe including markets in North America, Asia, Europe, and Africa.